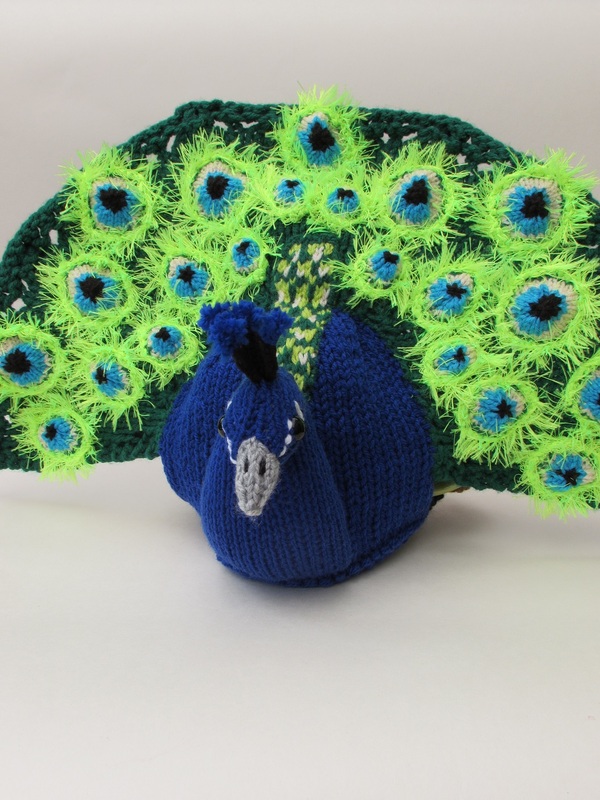 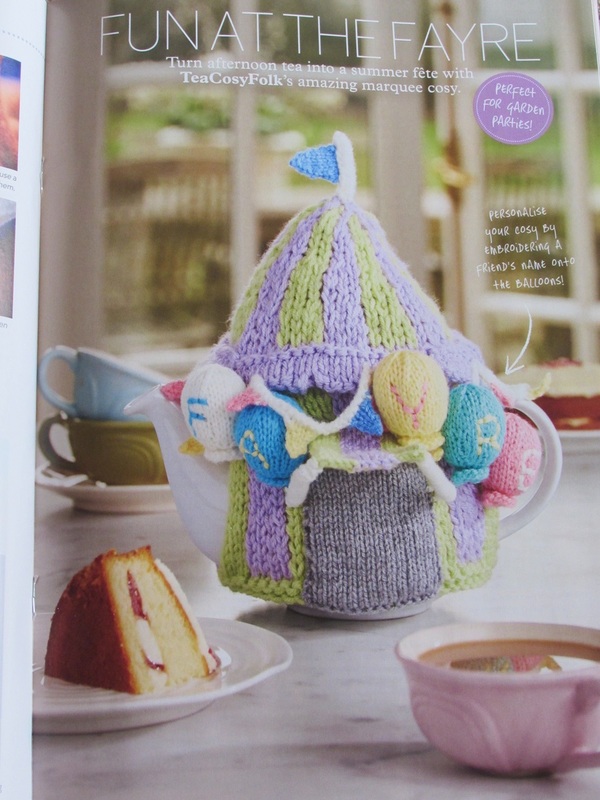 The Summer Fayre tea cosy was designed for the Simply Knitting Magazine issue 147 which went on sale on the 17th June 2016. 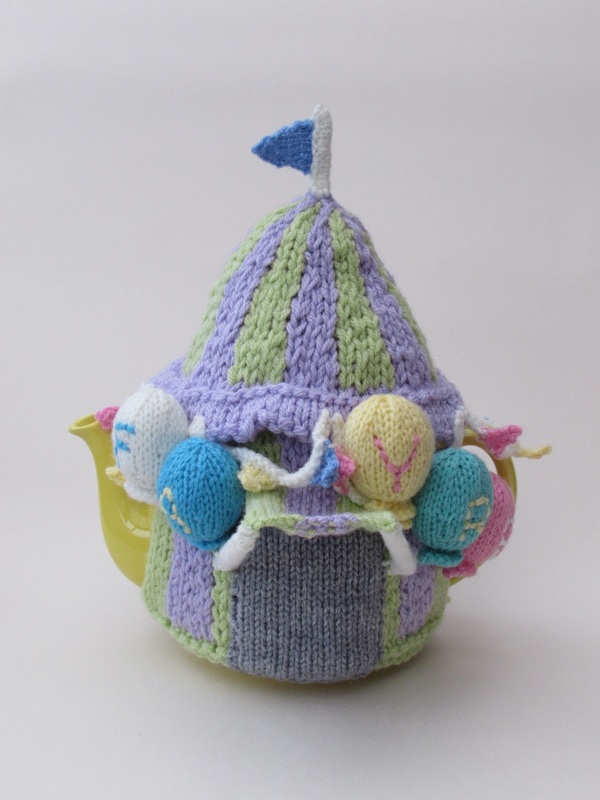 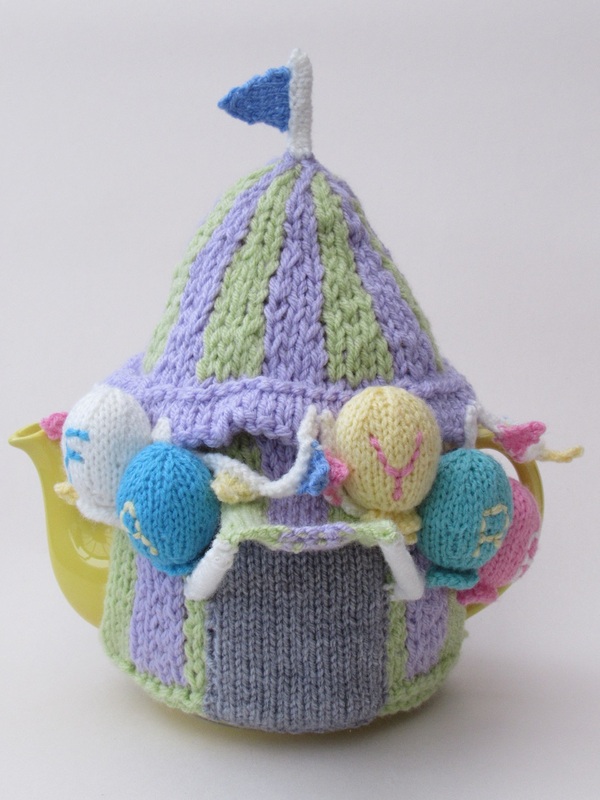 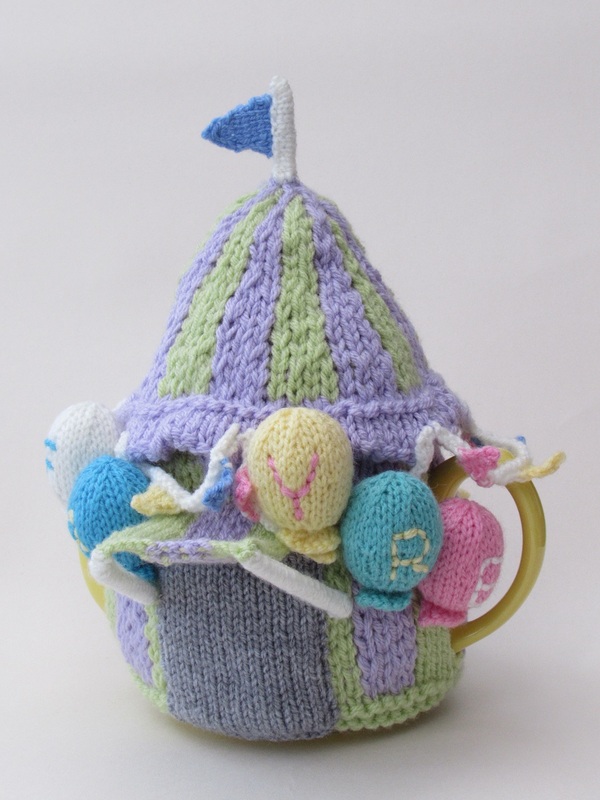 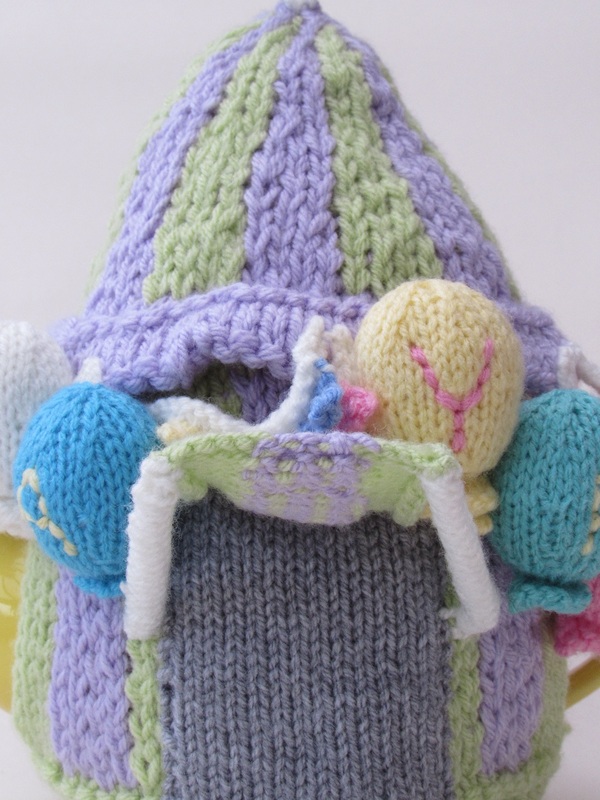 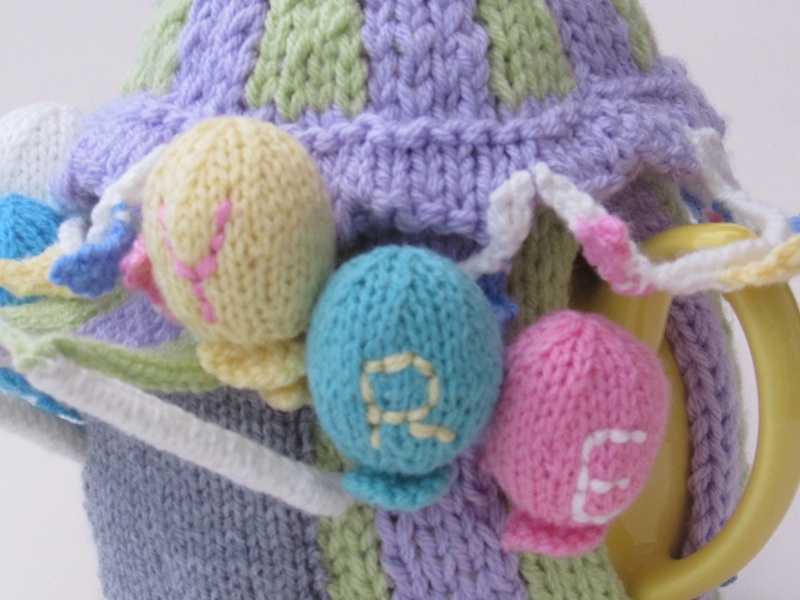 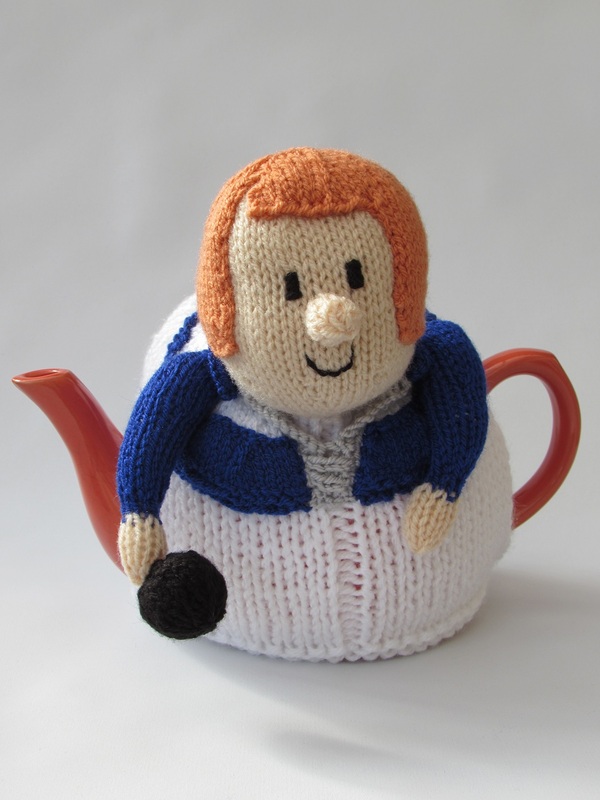 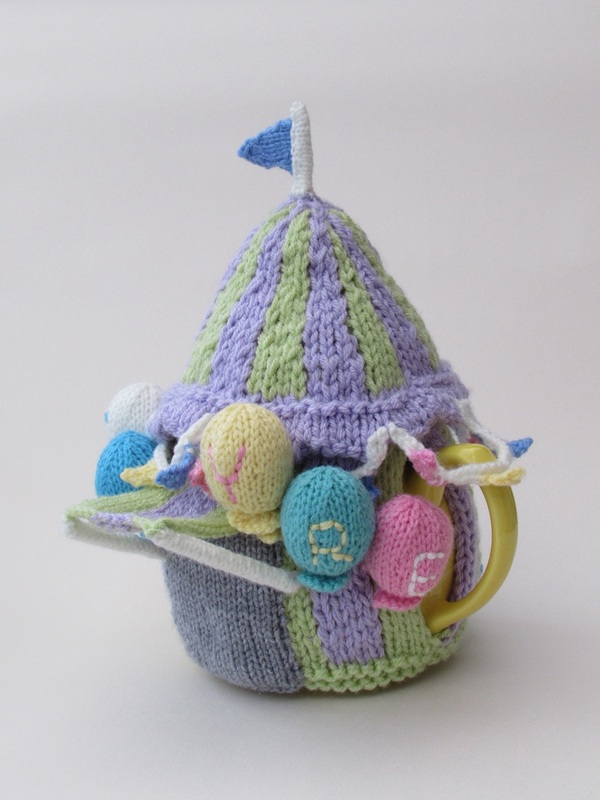 The Summer Fayre tea cosy is a delightfully summery tea cosy that looks like a marquee. 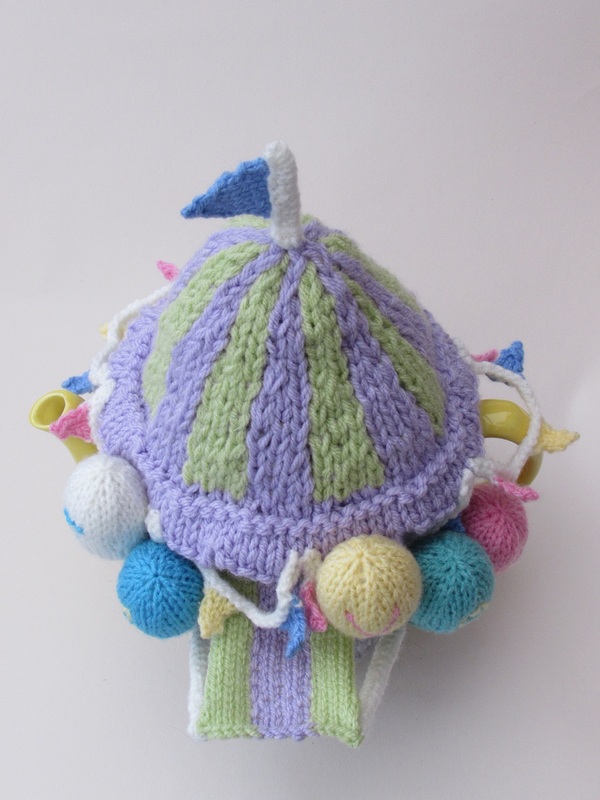 Around the doorway are balloons to welcome visitors. 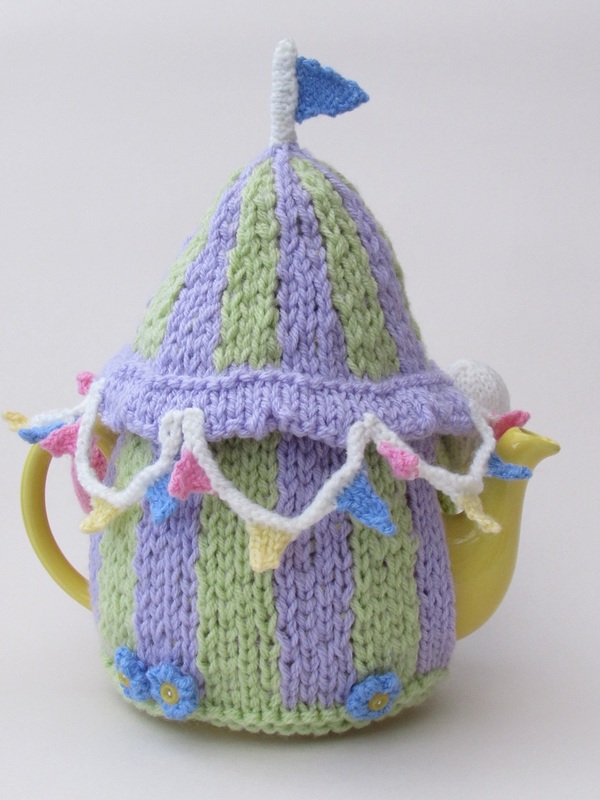 There is also festive bunting hanging down all around the marquee roof and a small flag on the top. 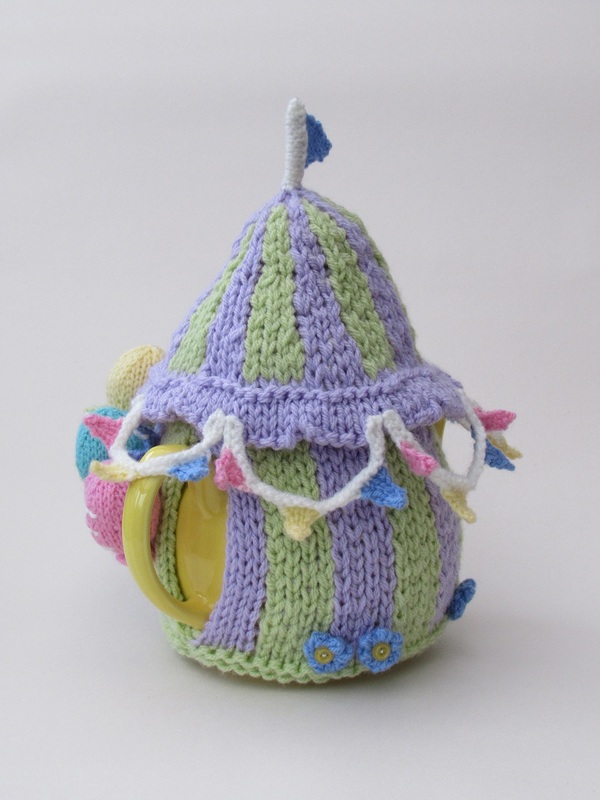 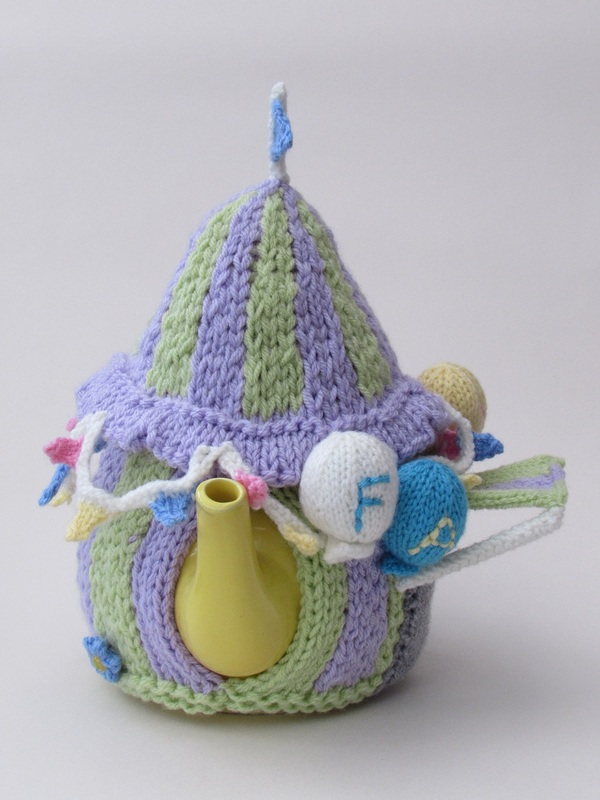 The tea cosy is knitted in pastel colours but would look fun and funky in bright shades. 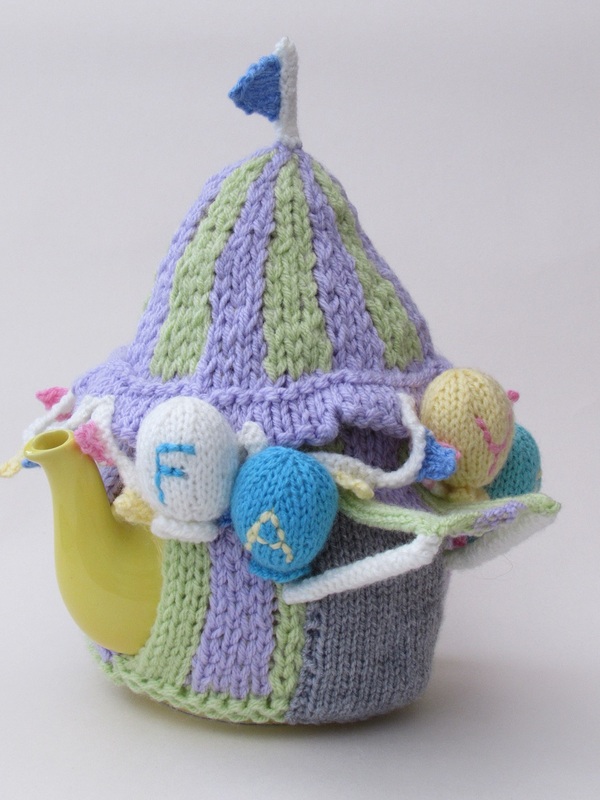 The Summer Fayre tea cosy could be knitted in white, with Mr and Mrs written in the balloons as a wedding or anniversary present for someone. 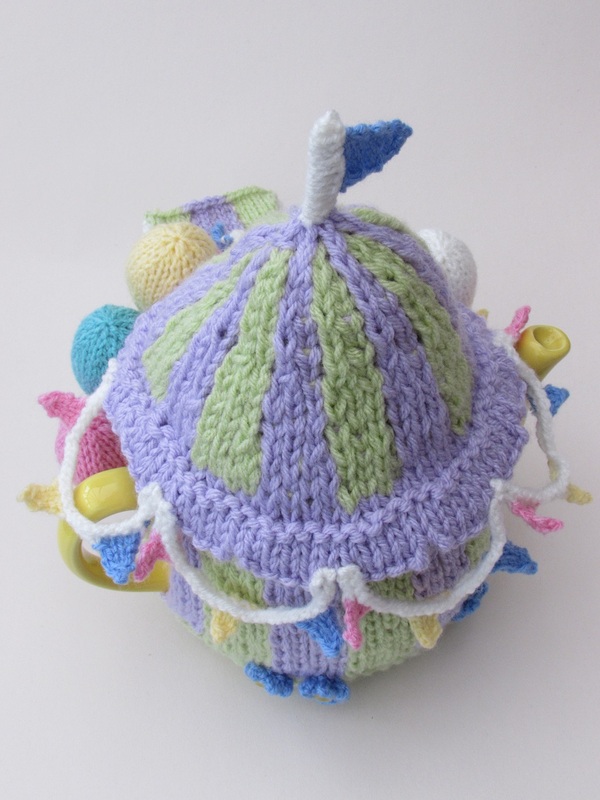 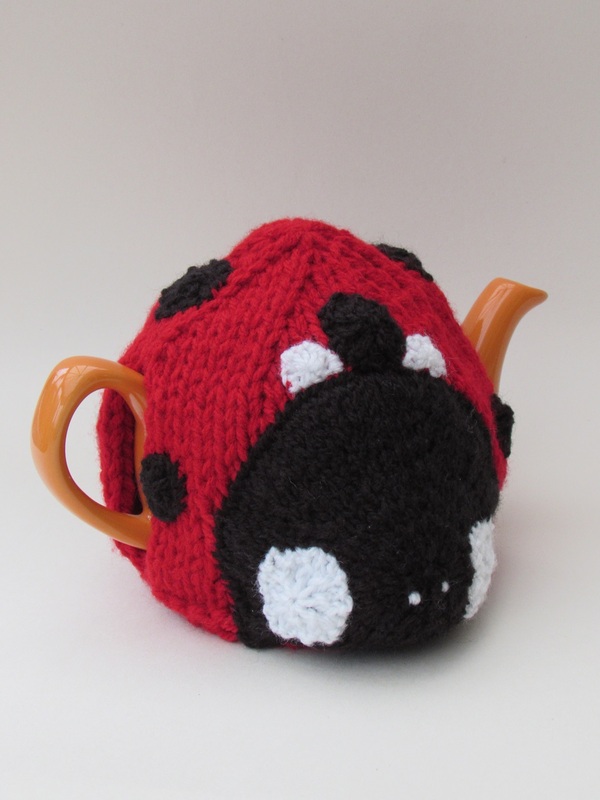 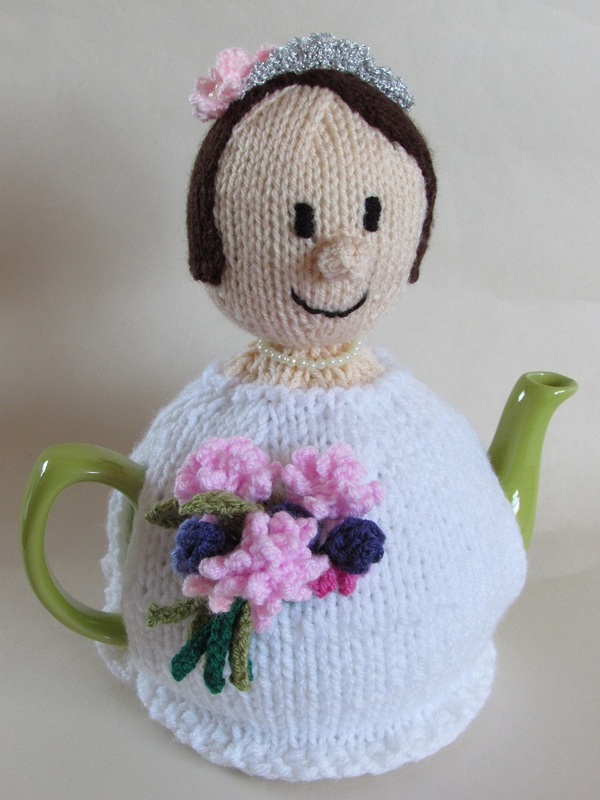 Your Summer Fayre tea cosy would be perfect for alfresco tea times and garden fates. 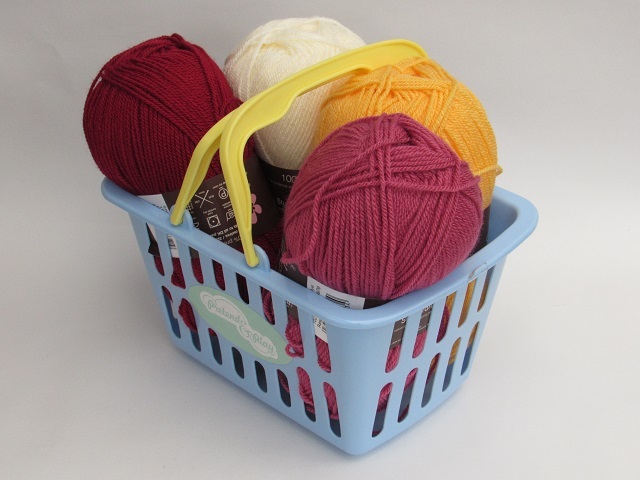 Stuffing and two cotton buds.